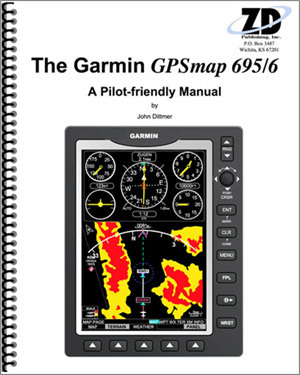 This Pilot-friendly GPS manual for the Garmin GPSmap 695 and GPSmap 696 from ZD Publishing, Inc. concentrates on a task-oriented format to cover all operations. 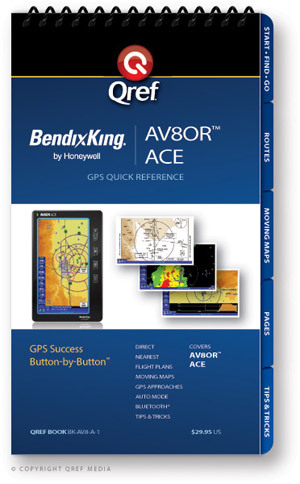 The GPSmap 696 includes all the features of the GPSmap 496 with features such as their SafeTaxi and the AOPA Airport Directory. The SafeTaxi feature has detailed maps of more than 650 airports to help guide you when taxiing and identifies the most accident-prone and runway incursion areas on the airport. A subscription is available from Garmin for approach charts which resemble the paper version of NACO charts. They are scalable through 6 levels of magnification. The unit has a dedicated Panel Soft Key which makes that feature easily available from any page. The Table of Contents lists all operations and the Index lists most common terms. Find the operation or term that interests you, go to the appropriate page and view the step-by-step instructions from beginning to end. Get up and running FAST! The GPSmap 695 contains all the features of the GPSmap 696 EXCEPT XM Weather and Radio. Although the manual from Garmin contains the official recommendations and is an excellent reference, this GPS manual from ZD Publishing is designed to be used in conjunction with the unit in the aircraft or while using the AC adapter at home. This combination will safely lower your learning curve without the noise and distractions that accompany flying. It also is valuable as a take-along tool in the cockpit for a quick reference as needed. The Appendix’s provide descriptions for all pages.